Installing Google Play on the Android Emulator (API 21 – “Lollipop”) « Flinkd! 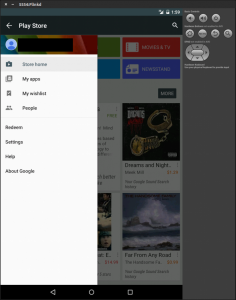 With the recent release of Android 5.x, I decided that it was time to release an update on how to install the Google Play Store on the Android Emulator. This document outlines the steps required using the latest version of the Android SDK (Revision 24.0.2) and is focused on Android 5.0.1 (API 21). 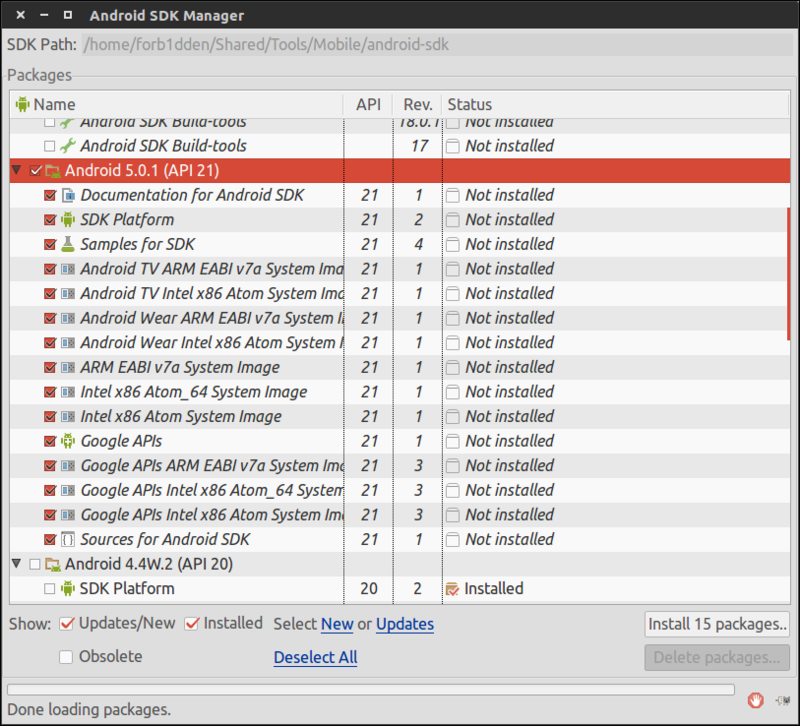 With that, let’s begin by launching the SDK manager. We’ll first need to ensure that Android 5.0.1 (API 21) is installed. If it’s not, check the top level element, “Android 5.0.1 (API 21),” and click “Install 15 Packages.” Then, when prompted, accept the license agreement and continue. Once installed, close the SDK manager and launch the AVD manager. 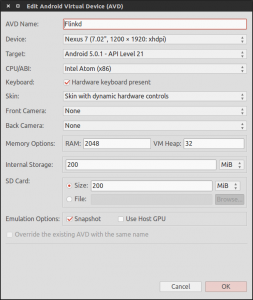 Here we’ll need to create a new AVD which utilizes the Android 5.0.1 platform and has snapshots enabled so that any changes we make are persistent. 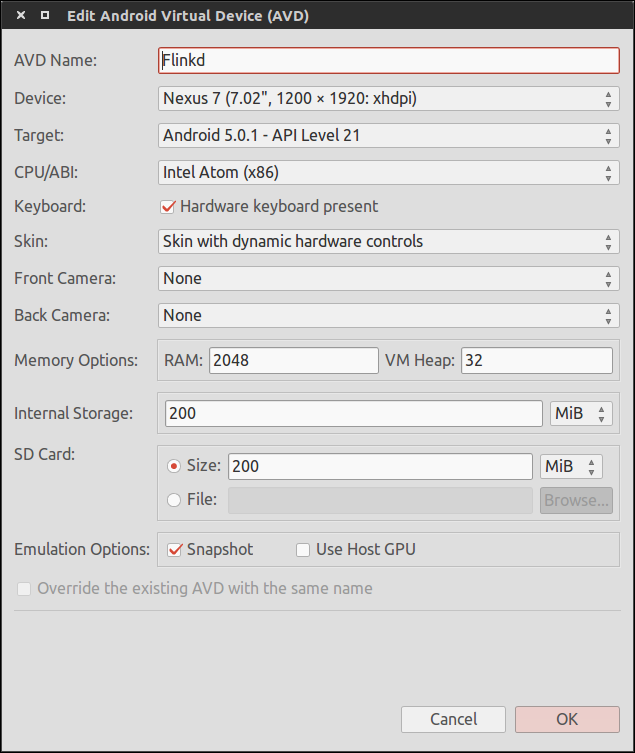 Also, due to the increased size of the 5.0.1 image, we’ll need to allocate at least 2048MB of RAM for our AVD. Next we need to pull down the appropriate Google Apps package that matches our Android AVD version. In this case we’ll be using the gapps-lp-20141109-signed.zip package. You can download that file from BasketBuild here. With our APKs extracted, let’s launch our AVD using the following command. This may take several minutes the first time as the AVD is created. Once started, we need to remount the AVDs system partition as read/write so that we can push our packages onto the device. I have installed with no problem. But there are problems with login using google account. Did you reboot the emulator after installing the apks? If so and it still doesn’t work, check logcat. Where the instructions need to be executed? Yes. The sub-directories for each command are listed above. Do you see any error messages using “adb logcat”? Unfortunately, Not understandable for starters? Where do I put a folder gapps-lp-20141109-signed After extracting? You can unpack it to any directory. When you push to the device, you will need to specifically point to the required apks. I got another problem now, which is that i cannot access google play store. I added an existing google account but it does all it says is “Authenticaton is required. You need to sign into your google account” when i try to go into the play store now. And it seems that the sync function does not work. Another problem i have is that everything i restart the emulator, Play store wipes even thought i have “Wipe data” unchecked. Im running the emulator on Nexus 5 API 21, Google API as well so i dont know why this is happening. Have you enabled snapshots for your VM? I get the same “Authentication Error”. Logcat shows -> Google Play services signature invalid. Looks like you may be using the Google API image. That creates a disconnect between GoogleFrameworkServices and Google Play. Try again using the standard API. Very slow when using Snapshots. I use HostGPU and run a script to setup PlayStore everytime the emulator launches. also so many apps keeping saying from the Google Play Store “Incompatible” … I’ve tried Nexus S, Nexus 7… same stuff. Do you folks know how to fix that? Which type I should use to use popular apps like Instagram and Skype and etc. I was wondering maybe it has something to do with x86 vs ARM CPU Arch??? certain games and Apps like Slack work but apps like Twitter, FB, FB Messenger, Instagram, Snapchat, Angry Birds and Uber don’t…. say their incompatible… I thought Google Play Store should filter them out and not show but it just says their incompatible. I’ve followed all the steps and it is working as expected, but, after completing the google account log in, when I try to execute shell commands on the device via ADB, the shell freezes\hangs. for example “adb shell date” is stuck (device is recognized and its state is “device” in “adb devices”). if I execute “adb kill-server” and then “adb devices” the emulator is offline. does anyone know how to get passed it? I must keep executing shell commands. Can I use any GApps? I understand that I need to choose the right API version, but that’s it aye?? Thanks for tutorial, now i can use Google Service for my app in simulator. Great tutorial, I’m just missing one piece of deal-breaking info: Where is the “gapps-lp-20141109-signed.zip” file coming from? I can see the download, but what if I want to do this for Marshmallow, or N preview; or I’m using ARM and not x86? I think “pull down” and “appropriate” need to be expanded on a little more for this post to be useful in the future. 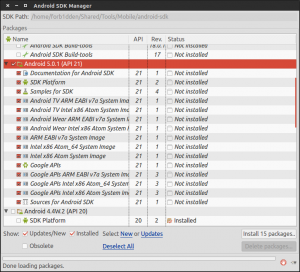 Installing Google Play on the Android Emulator (API 18) « Flinkd!